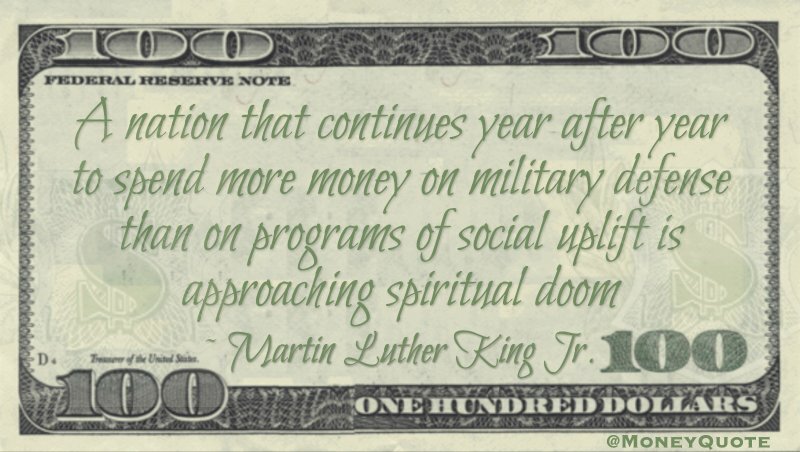 Martin Luther King Jr. Day is a Federal Holiday observed each year on the third Monday of January. 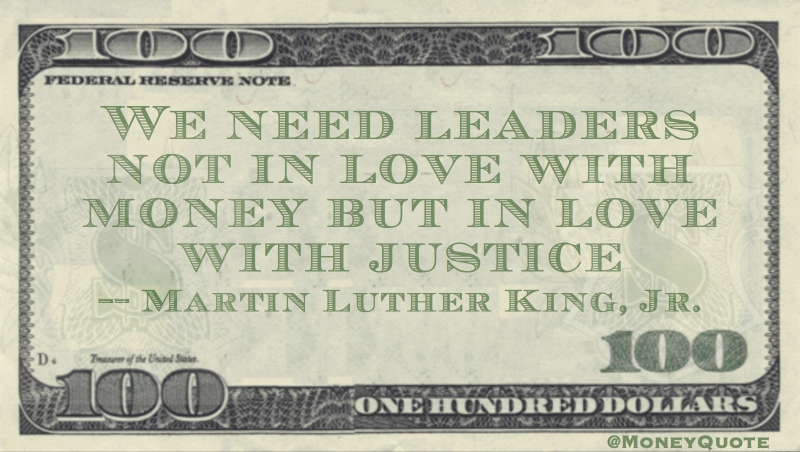 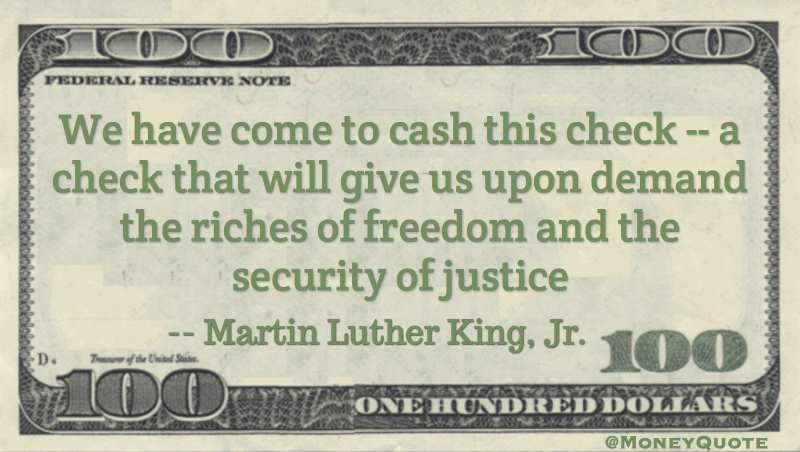 “We refuse to believe that the bank of justice is bankrupt. 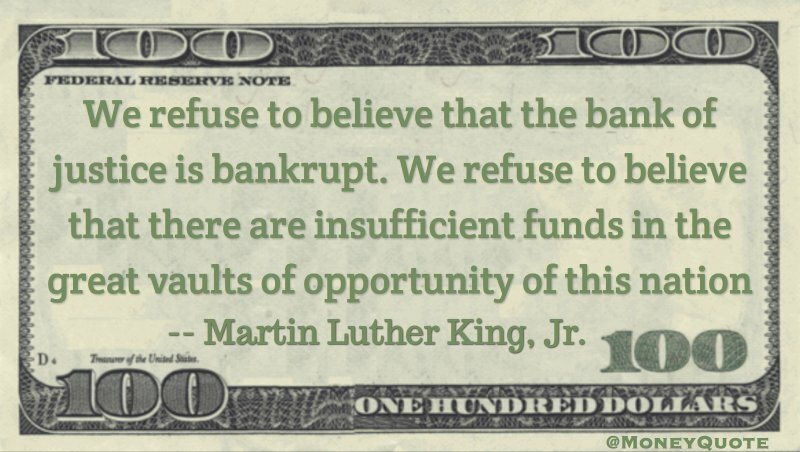 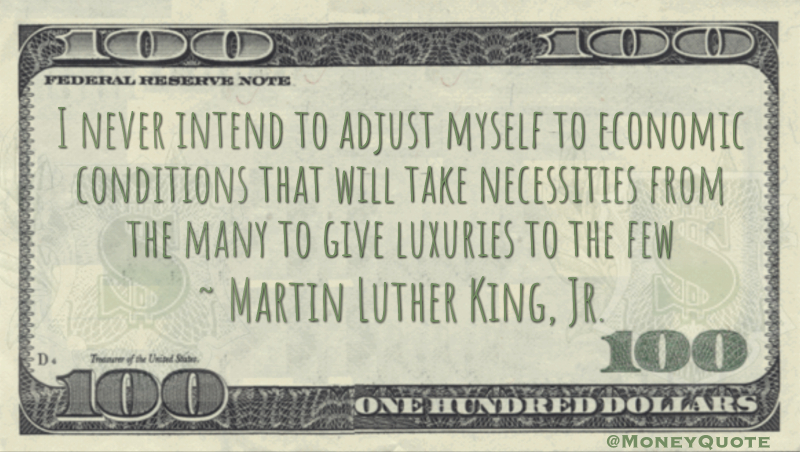 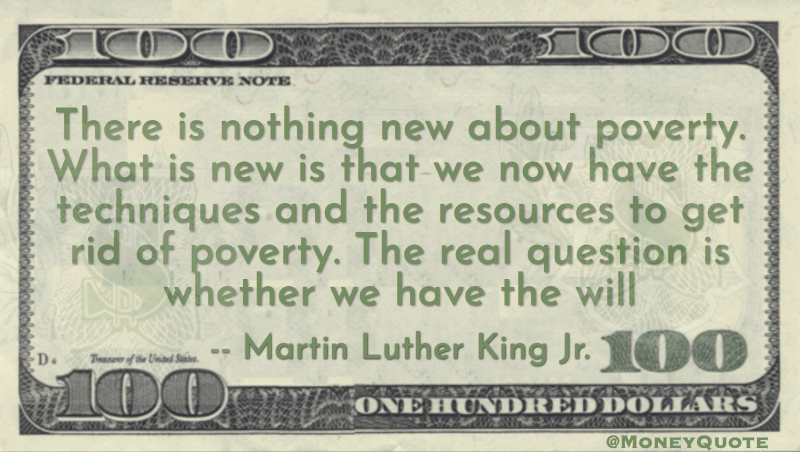 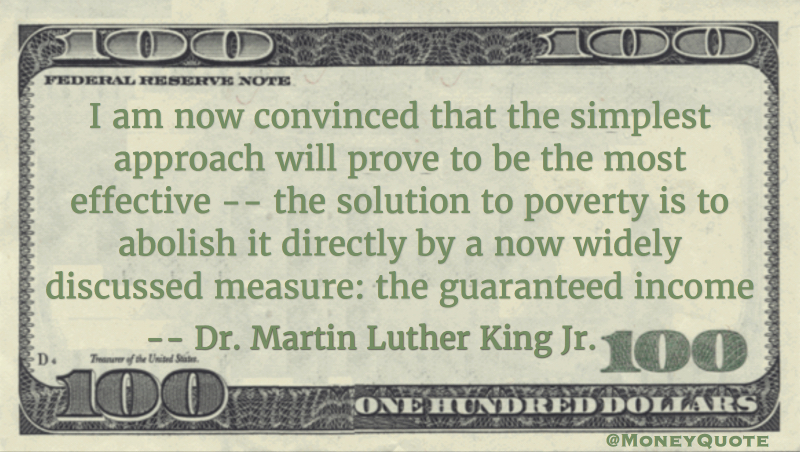 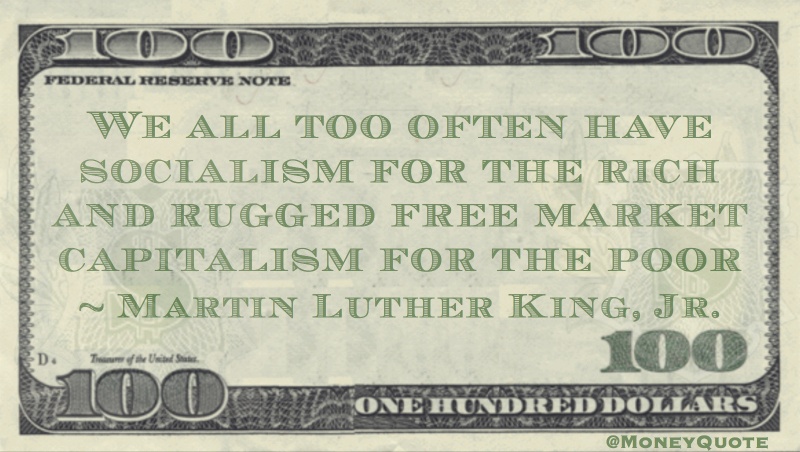 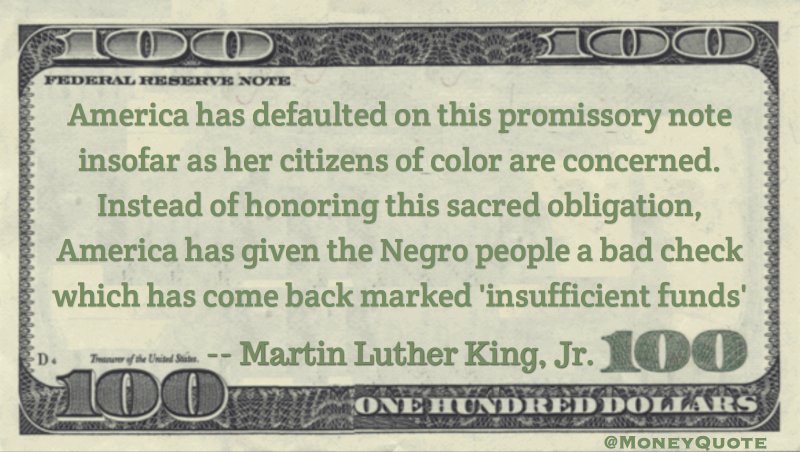 We refuse to believe that there are insufficient funds in the great vaults of opportunity of this nation” — Martin Luther King, Jr.
We have come to our nation’s capital to cash a check. 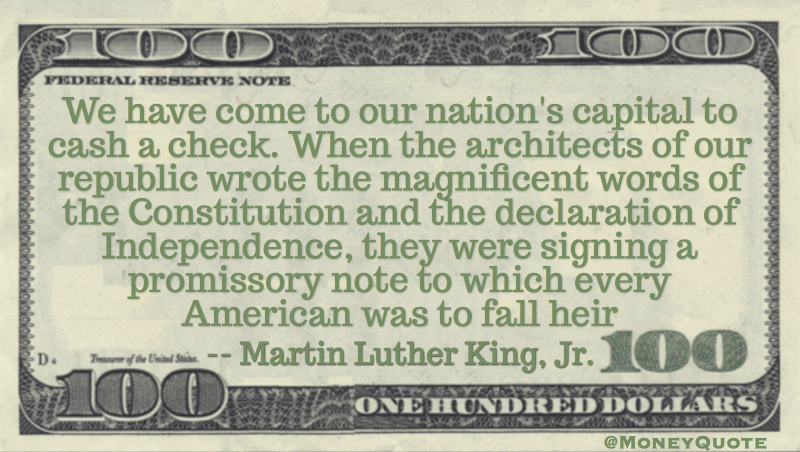 When the architects of our republic wrote the magnificent words of the Constitution and the declaration of Independence, they were signing a promissory note to which every American was to fall heir” — Martin Luther King, Jr.
“We are prone to judge success by the index of our salaries or the size of our automobiles rather than by the quality of our service and relationship to mankind — Martin Luther King Jr.